T.E. Laboratories is evolving from primarily providing environmental and oil analysis services in the Irish market to developing novel, game-changing analytical sensors and instruments for customers worldwide. Enterprise Ireland’s IP Plus Strategy programme and Lean Plus programme have had a dramatic impact on the company’s approach to product development and IP protection. T.E. Laboratories is now moving to commercialise a range of new environmental analysis products, initially targeting the US market. T.E. Laboratories Ltd, based in Tullow, Co Carlow, started life in 1991 carrying out fuel analysis. It still does; but the company is now entering new territories, with future growth set to be driven by hi-tech product launches, based on novel intellectual property (IP) developed in-house or via technology transfer from international partners. 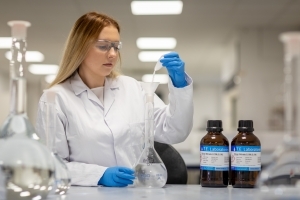 “We have enjoyed iterative growth from the start, becoming an accredited environmental laboratory and a chemical manufacturer as well as Ireland’s only specialised oil analysis laboratory,” explains Technical Director, Breda Moore. Clients include multinational pharmaceutical and other manufacturers as well as local authorities, utilities and fleet operators. “Specialist analytical and chemical manufacturing services are set to remain important pillars of our business. But our future growth projections are based on the company evolving as a leader in developing advanced sensors and analysers for environmental and oil applications. T.E. 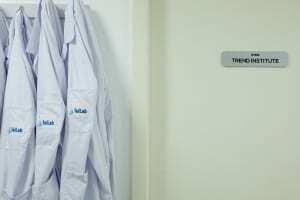 Laboratories now employs 50 people, including seven full-time researchers in the R&D lab, which is the engine room for new product development. The lab is 75% funded through EU collaborative research projects (such as Horizon 2020 and Framework programmes), allowing this relatively small company to punch above its weight in innovation terms. Now, with R&D projects delivering tangible results, the challenge of maximising the return from this output has come sharply into focus. “We are starting to generate significant levels of IP both internally and in collaborative projects. As these products get closer to market, thinking strategically about their commercialisation becomes important, making us realise that, up to now, we hadn’t given IP enough attention,” explains Moore. For T.E. Laboratories, then, the recent launch of Enterprise Ireland’s new IP Strategy programme was perfectly timed. The pilot programme provides companies with financial support towards the cost of engaging an external IP advisor to help them develop an IP strategy to secure the maximum return from their RD&I activities, and, in the process, strengthen their in-house IP management capabilities. “Through the IP Plus Strategy programme, we’re putting in place a formal process to cover the IP that we’ve already generated so that we can leverage maximum benefit from it, and we’re also looking at the IP we’re starting to produce to identify the best strategy for protecting that,” says Moore. “For example, we’ve reviewed all the default agreements in our European projects to see how they can be improved, and we’ve examined how we can capture IP in our labs and where we can derive a commercial advantage. It’s all about putting procedures in place to handle IP in a consistent way; whereas before it was very reactive. Among TelLab’s developing IP portfolio are a new breed of environmental sensors, which Moore describes as “game changers”. One of TelLab’s Aqua Monitrix prototypes is currently competing in a nitrogen sensor challenge, coordinated by the US Environmental Protection Agency. If it can meet performance goals during onsite testing, the prize for TelLab will include an order of 200 units and a performance verification report. Dovetailing with the focus on IP protection, T.E. 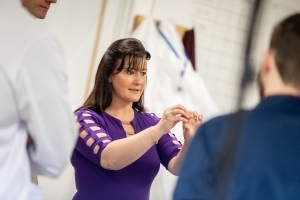 Laboratories recently completed Enterprise Ireland’s Lean Start programme and is now working through Lean Plus to achieve increased competitiveness and productivity across operations. “We’re particularly interested in applying Lean to our new product development activities. This will enable us to bring products that are successful at the research phase to the market as efficiently as possible. We will cut out unnecessary steps, concentrating on features that add actual value to the end user, and designing with Lean manufacturing in mind,” explains Moore. “For us, the Lean and IP Strategy programmes are going to cross over significantly in some areas, and we see that as having a hugely beneficial impact,” she adds. Learn more about Enterprise Ireland’s Innovation supports here.